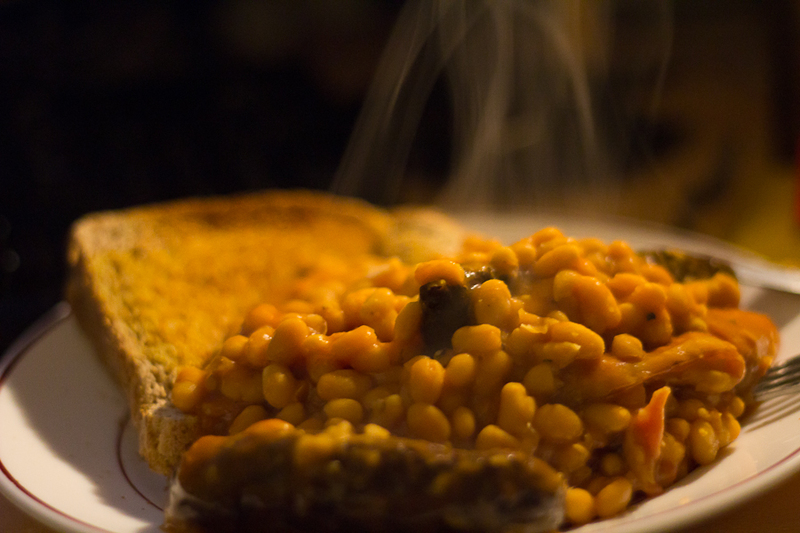 Beans on toast | What's for dinner? A British classic with H’s inspired and scrumptious twist of an added dash of cumin and plenty of freshly grated black pepper, as well as the obligatory smudge of butter. With sausages and bacon nestled under the beans. Warming, comforting, simple. What more could you want?